If someone is arrested in Palmdale, they will be taken to the police holding facility at the Palmdale Sheriff’s Department Jail. Once they have been booked and processed, you should contact a bail bond agent and start the bail bond process. If it’s delayed, inmates may be transferred to another location which can delay release. 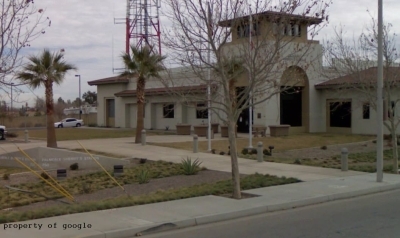 The Palmdale Sheriff’s Department is located at 750 E Ave Q in Palmdale, CA 93550. Palmdale CA, home of the desert sun. This is an interesting town that inhabits all types of people. Its a very affordable town for most people and there’s quite a bit of job opportunities for most people. The Palmdale Police department find themselves fairly busy most of the time and that keeps our Palmdale Bail Bonds agents busy also. Our Palmdale office is the closest one to the Palmdale Jail and we normally have someone there 24 hours a day. If there is no one there at the time you arrived, just give us a call and our agent will be right over. Our Palmdale bail bonds agents have been bailing people out of the Palmdale Jail for many years now, you are in good hands when you choose LA Bail Bonds.